50 years of testing child car seats: how much have they changed? This year marks the 50th anniversary of our first child car seat tests. We’ve looked through our archives to see how much they’ve evolved – and what we’ve achieved in promoting passenger safety – since then. 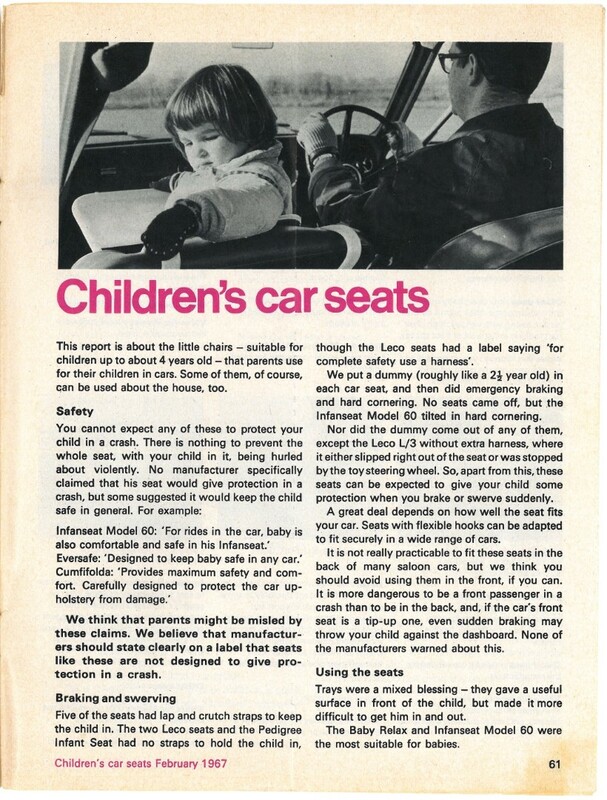 When we first started testing child car seats back in 1967, who could have predicted how vital they’d be to our lives 50 years later? After all, that same year we also reviewed paper dresses (apparently all the rage and available for 25 shillings in Miss Selfridge) and sink water heaters. The Ford Cortina was also the most common car on the road. And just where are they all now? Looking at our February 1967 magazine has really opened my eyes as to how different it is for families travelling now compared to then. 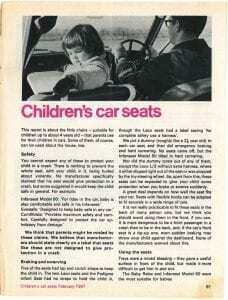 Then, the child car seats we tested were something that enabled your child to sit up in and watch the world go by out of the window. Most came with trays so children could colour-in or read while in the car. One even had a mini steering wheel for a mini driver. This, it turns out, wasn’t as cute as it sounds, as our tests back then revealed that the steering wheels were coated with paint containing up to 5% lead! Parents weren’t compelled to use child car seats then either. 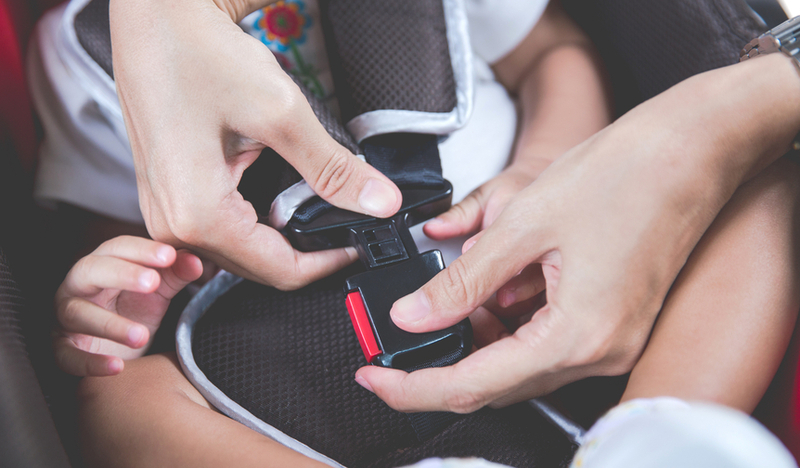 In fact, it wasn’t until 2006 that it became law for all children under the age of 12 or below 135m in height to be properly restrained in a car seat. Prior to this they were only obliged to use the appropriate seat or cushion ‘if available’. It was the same relaxed attitude with seat belts, which only became compulsory in front seats in 1983 and in back seats in 1991. 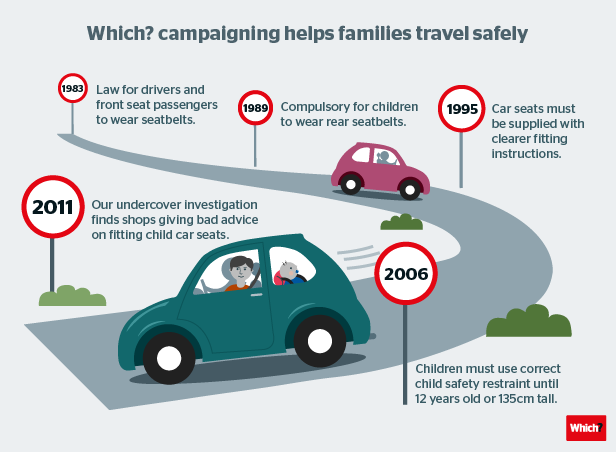 As well as being at the forefront of independent safety testing of child car seats, Which? 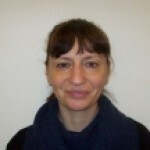 has campaigned for decades to help families travel more safely in their cars. 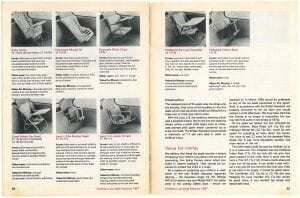 Our child car seat testing has evolved considerably over 50 years, too. In our tests these days, we make sure seats are up to scratch using state-of-the-art dummies wired with sensors to record crash forces. We also put each one repeatedly through front crashes equivalent to a head-on collision at around 40mph and a side crash that’s the same as two cars crashing into each other at 30mph. And we carry out around 500 fitting and usage tests a year to help parents fit and use their car seats the correct way for safe transportation. Thanks to Which?, parents have become more aware of the need for transporting children in the safest child car seats. In 2006, we helped more than a million parents with our guides to choosing and our reviews. Do you remember any of the seats that featured in our 1967 article? Did you have them fitted in your car? It is not often that a new Conversation goes for days without anyone making a contribution. It is interesting to learn about how product testing and legal requirements have changed over the years. 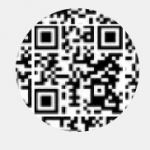 I would love to see some examples showing in detail what goes into tests of products that appear in Which? tests.